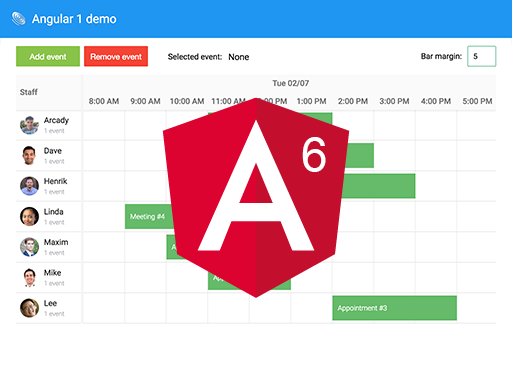 The Angular demo included with Scheduler contains a SchedulerComponent, an Angular directive that uses the Scheduler as its engine. In this post we will outline the steps needed to add it to your project and also take a look at how to use it. To see the full demo in action, visit https://www.bryntum.com/examples/scheduler/angular. Copy scheduler.component.ts from /examples/angular/src/app/scheduler to your project. Copy scheduler.module.js and the css for the theme you want to use from /build to your assets folder. Since Angular 1 is very different from the more recent versions of Angular (2 and above) this post is not directly applicable to it. But fear not, Scheduler ships with an Angular 1 demo and a small scheduler directive to get you started. Angular versions starting from version 2 (2, 4 and 5) are very similar to Angular 6. The information above applies to those versions also, with the exception of the glob copying of assets which might not be available depending on your angular-cli version. The best way to learn more about the SchedulerComponent is to examine its source and the demos. If you have not already, please download our trial version and check it out. 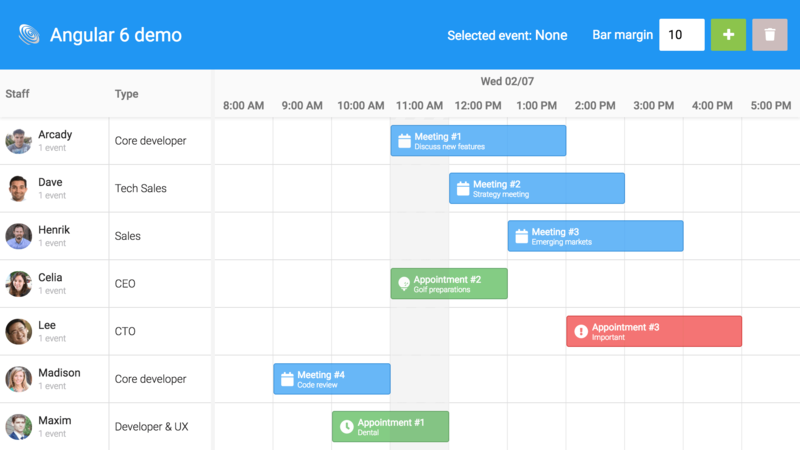 Feel free to extend the SchedulerComponent with what you need, and please also share your thoughts on our forum. It will be extended according to popular demand, but remember that you can always access the underlying engine if a feature or config is not exposed directly. Bryntum Scheduler works with any version of Angular. 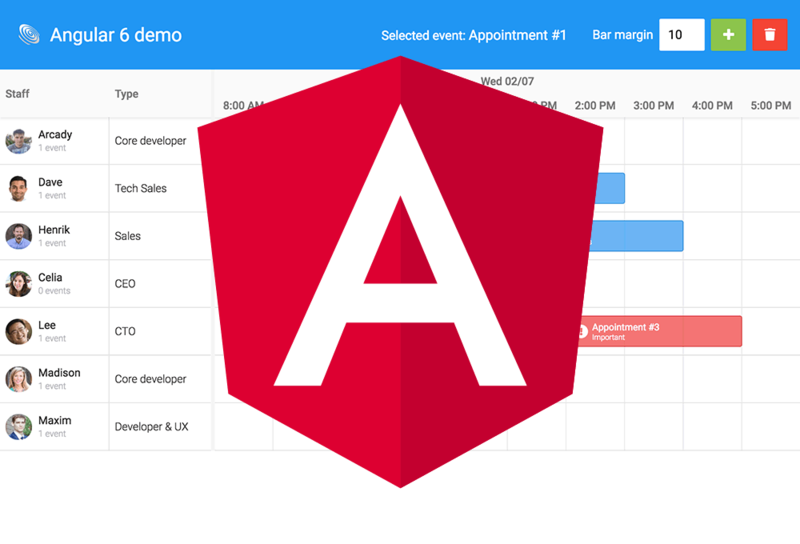 It ships with demos for all major versions and a SchedulerComponent that you can use in your project. Although the component does not wrap all functionality in Scheduler, you can always access the engine to get what you need.